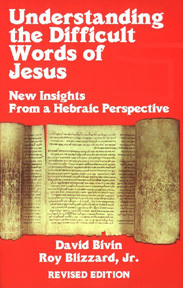 This book clearly describes ways of understanding some original Hebrew and Greek techniques and of discovering the true meanings of many of the words of Jesus. This book will be an important addition to your personal or group Bible study time. Newly Revised! David Bivin is the founder and director of the Jerusalem Perspective. Roy Buzzard, Jr. is Adjunct Assitant Professor in The Center for Middle Eastern Studies at the University of Texas at Austin. Copyright ©1996-2005 CenturyOne Bookstore. All Rights Reserved.